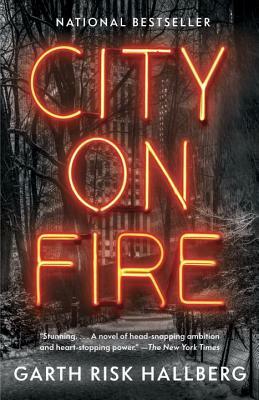 Garth Risk Hallberg's first novel, City on Fire, was a New York Times and international bestseller, has been translated into 17 languages, and was named one of the best books of 2015 by The Washington Post, Los Angeles Times, San Francisco Chronicle, The Wall Street Journal, NPR, and Vogue. He is also the author of a novella, A Field Guide to the North American Family. His short stories have appeared in Prairie Schooner, Glimmer Train, and Best New American Voices 2008, and he has written critical essays for The New York Times Book Review, The Guardian, The Millions, and Slate. A two-time finalist for the National Book Critics Circle's award for Excellence in Reviewing, he lives in New York with his wife and children.